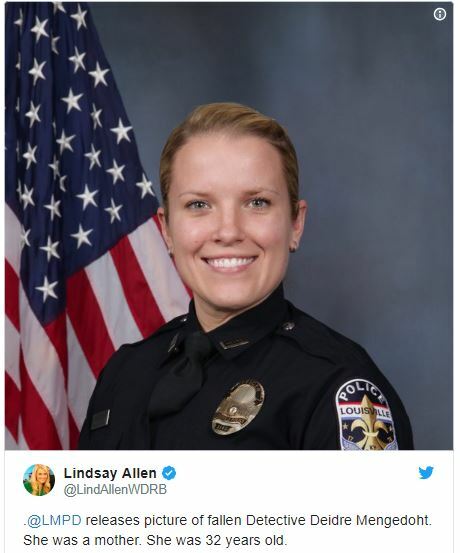 A 32-year-old Kentucky detective, who was also the mother of a young son, was reportedly ki**ed on Christmas Eve on Monday, when her police cruiser was hit by a truck, according to reports. Metro Police Chief Steve Conrad, while addressing a press conference on Monday night, said that the truck driver has been charged with m*rder in the case. 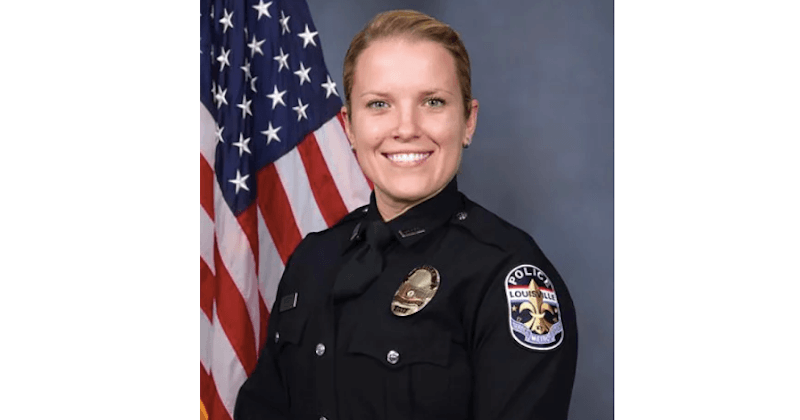 The detective, identified as Deidre “Dee Dee” Mengedoht, was conducting a traffic stop in the right-hand lane on Interstate 64 on Monday afternoon when the incident occurred. 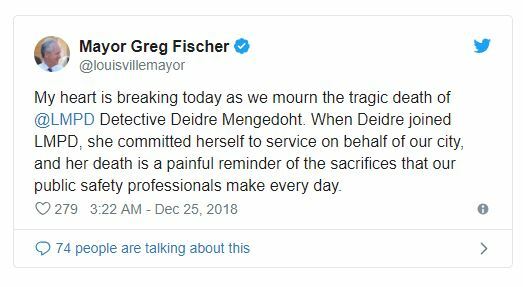 Mengedoht was reportedly inside her police cruiser at the time with her emergency lights on when the truck crashed into her from behind. Conrad said that after the impact, the detective’s car caught fire and she d*ed inside the vehicle. The police chief added that the truck’s driver, identified as 60-year-old Roger D. Burdette, was arrested by police officials on charges of murder and operating a vehicle under the influence. Reports state that the driver of the truck was allegedly impaired, according to PEOPLE. An arrest citation was obtained by the Courier-Journal, which alleges that Burdette admitted to taking multiple prescription drugs before the incident occurred and that he “made no attempt to avoid collision with the police vehicle.” The citation added that the truck driver was allegedly not able to maintain his balance during field sobriety tests. According to jail records, Burdette was booked into Jefferson County Corrections and is set to appear in court on Wednesday, December 26, at 9 am. It was not clear whether the accused had an attorney or entered a plea.